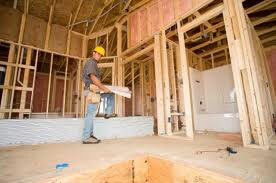 Save Up To 29% or MORE On Your NC Contractors Insurance! Call 336-803-7479 To Get the Right North Carolina Contractors Insurance Protection For You at the Lowest Cost! We’re proud to offer our specialty North Carolina Contractors Insurance program! It’s not a matter of if you’ll have a loss, it’s a matter of when. So, are you covered if someone sues you for damages from the work you’re responsible for? Will your equipment be replaced if stolen. You certainly know that times are tough. Money is tight and there is a lot of bad stuff happening in your business. So, are you covered? As many contractors are struggling to get more work to pay their bills and stay in business, the smart artisan contractors are finding ways to save money. And that includes finding lower cost North Carolina contractors insurance without taking the risk of cutting important coverages that could leave them vulnerable to the effects of a devastating loss or lawsuit. Our specialty North Carolina Contractors Insurance program is available to Carpenters, Electricians, Floor Installers and Refinishers, HVAC contractors, Landscapers, Painters, Concrete contractors, Framers, Roofers, Plumbers and more. Call 866-869-3335 For Your Free North Carolina Contractors Insurance Quotes Today or Complete the Form on the Right! Paramount Insurance Agency has been protecting contractors in High Point, Greensboro, Winston Salem, Burlington, Cary, Raleigh, Charlotte and all over North Carolina since 1997.